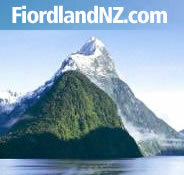 The following reviews or comments have been posted on Cruise Doubtful Sound . These comments have been posted by people who have already been to this attraction/destination/tourism operator. We travelled the whole of NZ. The overnight cruise on DOUBTful Sound was without a DOUBT the highligth of our holiday. It was an unforgettable experience. The staff was in two words absolutely fabalous. I will definitely recommend it to everybody. Well Done!